In order to provide the most effective and targeted range of Sports & Recreation facilities to meet the needs of the citizens of Clare County we will be required to collect, process and use certain types of information about people applying for sports and leisure related services. Depending on the service being requested the information sought may include ‘personal data’ as defined by the Data Protection Acts and by the General Data Protection Regulation (GDPR) and may relate to the personal circumstances of you (as applicant) and members of your group who may also be part of the application. In addition, staff may be required, from time to time, to collect, process and use certain types of personal data to comply with regulatory or legislative requirements. Clare County Council has created this privacy statement in order to demonstrate our firm commitment to privacy and to assure you that in all your dealings with Clare County Council that we will ensure the security of the personal data you provide to us. Legal basis for the collection, processing and sharing of personal data as part of the Sports & Recreation provision. 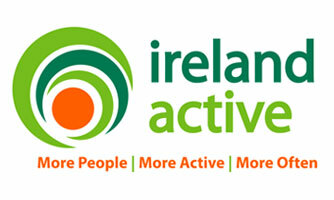 Clare County Council may, for the purpose of it’s functions under the Local Government Reform Act 2014, request all the information contained in the Sports & Leisure related forms which have been devised by the Sports and Recreation Unit, Social Development Directorate. In advance of completing the form/s applicable to your application, you should read through the terms and conditions enclosed in this booklet. You should take care to answer all of the questions fully where these are relevant to you. How your personal data will be used/processed by the Sports and Recreation Unit. A contact mobile phone number and email address is required on some forms. We may use this number to contact you by text (or email) as well as by phone. We will only contact you about matters that affect your application. No texts (or emails) will contain any information that could be used to identify you i.e. your name, so that if your phone is lost/stolen the messages could only be matched to the mobile phone the text was sent to. 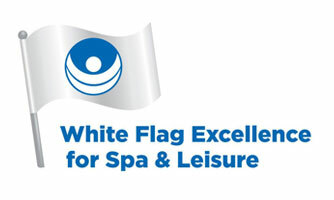 Data provided by you will be stored on a software leisure management system – Legend Club Management(UK) Systems. They will process your personal data only to the extent, and in such a manner, as is necessary for the purposes specified in the Agreement and shall not process the Personal Data for any other purpose. Legend will keep a record of any processing of Personal Data it carries out on behalf of Clare County Council. Your data may also be shared with other sections within Clare County Council to make sure the information is accurate, to protect public funds, recover debt and/or prevent or detect fraud. Clare County Council has a detailed record retention policy which goes in to more detail of the time period for which your personal data will be retained by Clare County Council and what will happen to it after the required retention period has expired. A copy of the National Retention Policy for Local Authority Records can be accessed via the LGMA website. You have the right to request access to personal data held about you, obtain confirmation as to whether data concerning you exists, be informed of the content and source of data and check its accuracy. In addition, if the data held by us is found to be inaccurate you have the right to change, remove, block, or object to the use of, personal data held by Clare County Council. In certain circumstances blocking access to data may delay or remove access to a service where the data is required by law or for essential purposes related to delivery of a service to you. Please note that to help protect your privacy, we take steps to verify your identity before granting access to personal data. 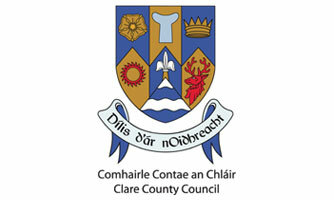 Further details can be obtained from Clare County Council’s website. If you are not satisfied with the outcome of the response you received from Clare County Council in relation to your request, then you are entitled to make a complaint to the Data Protection Commission who may investigate the matter for you.